Oxford Bus Company has become the first bus operator in the UK to use new technology to improve Wi-Fi experience for passengers. It has partnered with RebelRoam, an on-board Wi-Fi traffic optimization service provider to enable the delivery of a better Wi-Fi service, without increasing operating costs for higher data consumption. 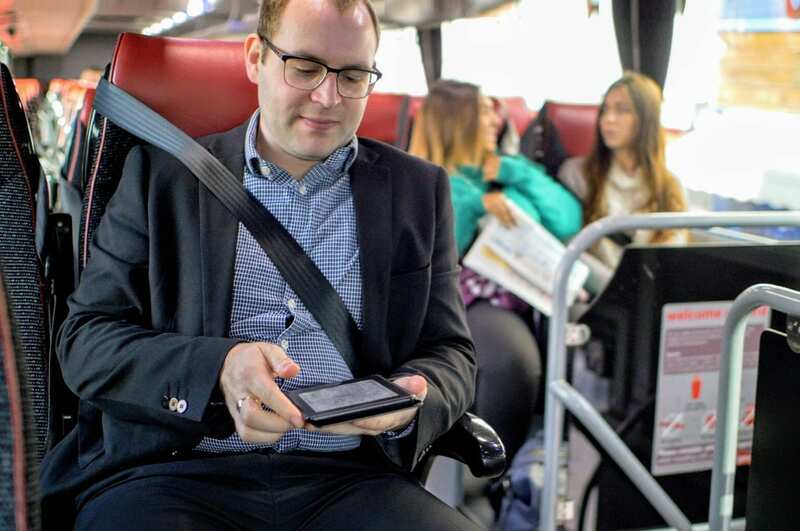 It means passengers will be able to stream video content more easily during their journeys with Oxford Bus Company, Thames Travel, Carousel Buses and the X90. Furthermore, it has enabled access to You Tube for Oxford Bus Company passengers, which is commonly blocked by public transport Wi-Fi providers. An increase in online video content has added a significant increase in pressure to transportation providers budgets. However, the collaboration has managed to reduce data consumption by 25% and reduce Oxford Bus Company costs for providing on-board Wi-Fi, while improving the customer experience. The data consumption reduction is achieved by actively filtering out unnecessary background activities, automatic app updates and optimizing video streaming services. Less data over the wireless links also means less network congestion and a better user experience. RebelRoam provides superior onboard Wi-Fi traffic optimization service to over 2 million connected passengers every month with 30 transportation companies across 38 countries. It is the only cloud-based, hardware and network agnostic Wi-Fi network optimisation solution in the market making implementation fast and simple. The partnership is the first stage of the expansion of RebelRoam’s optimisation services to bus and train companies under the Go-Ahead Group within UK and all over Europe.